When you need precision threadmills, look no further than Rotem Industrial Products Inc. We are the largest supplier of Allied Machine & Engineering products in Canada, so rest assured we’ve got the part you need. 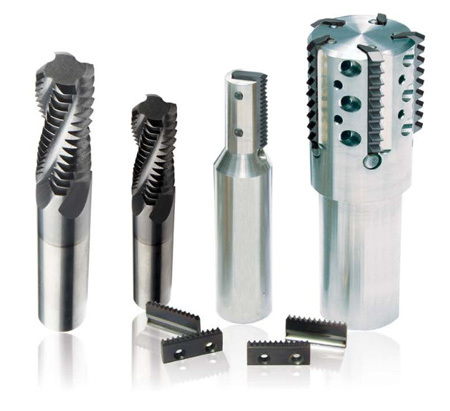 From solid carbide threadmills to pin style threadmills we stock the best tools for your application. When buying from Rotem, you can rest easy knowing you’re getting quality products at competitive pricing. We’re always adding to our warehouse, so if there is an odd size you require, we are happy to stock it for you. With Rotem you’ll always have the tool you need, when you need it. No matter the job, our inventory of threadmills has you covered. We have a large assortment of stock that comes in many sizes with varying grades. And when it comes to our products, we supply only the best. We carry a variety of heavy duty, high quality threadmills from Allied Machine & Engineering and USA Threadmill.